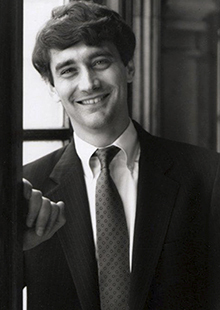 Steven G. Calabresi is a Visiting Professor of Law at Yale Law School and Professor of Law at Northwestern University School of Law. He co- founded The Federalist Society and serves as Chairman of the Society’s Board of Directors. Calabresi also served in the Reagan and first Bush Administrations from 1985 to 1990. Steven G. Calabresi is a Visiting Professor of Law at Yale Law School and Professor of Law at Northwestern University School of Law. He co- founded The Federalist Society and serves as Chairman of the Society’s Board of Directors. Calabresi also served in the Reagan and first Bush Administrations from 1985 to 1990. His research and teaching interests focus on federal courts, comparative law, and constitutional law.